Zoho is a provider of a very popular award-winning and cloud-based Customer Relationship Management (CRM) solution as well as more than 25 online applications including invoicing, project management, wikis, note-taking, databases, presentations, spreadsheets, word processing and other software. In this article we’ll take a look at the company itself as well as a list of Zoho products to help you decide if they are something you should consider for your company. We’ll discuss the major advantages of each service and explain in what way they can improve your team’s productivity, increase your sales and otherwise improve your work processes. Zoho has its headquarters in Pleasanton, CA with offices in New Jersey, Austin, Beijing, Tokyo, and London. The company’s software research and development centers are based in Chennai and Tenkasi, India, as well as Beijing and Singapore.  Its sales and support operations are based in Chennai and the Philippines. Zoho is a privately owned firm that has more than 3,500 employees in its global offices. The company says it is a profitable concern without any capital obtained from outside. As part of its investment in R&D, Zoho operates a program named Zoho University to hire and train high school students. More than 15% of the company’s engineers come from this program. This initiative serves to boost the company’s workforce with smart employees and also helps it to give back to the community. Zoho introduced the Zoho CRM Enteprise Edition in April 2008 with enhanced features such as multi-language support, additional data management tools, improvements to products customization, role-based security permissions, SSL support for Professional and Enterprise editions, and integration with other apps such as Zoho Sheet. 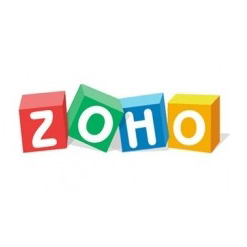 In 2015, Zoho launched Zoho Social to help boost the social media presence of companies, added Zoho Expense to its Finance suite, introduced an innovative web and mobile app named Zoho ShowTime that connects speakers with audiences, launched Zoho Forms, an online tool to build, share, and submit forms on the web and mobile, and released two other apps named Zoho Inventory and Zoho Motivator. The company reached 15 million users in 2015. Zoho Projects is a popular project management software that helps users in making their business projects more productive and finish them within the deadline. The app is loaded with features that make project monitoring easy, improve team collaboration, and enhance productivity and output. For more information on the software, read our Zoho Projects reviews. 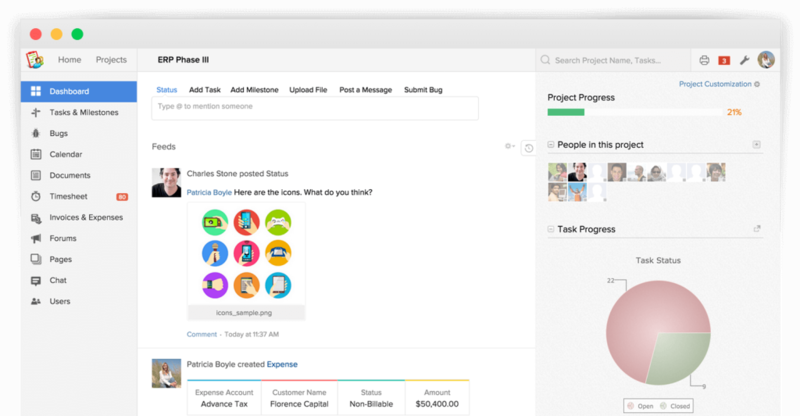 To sum up, Zoho Projects is a free online project planning and collaboration management app that helps get your projects done faster. Zoho CRM is a leading web-based CRM that is designed to attract, retain, and satisfy customers to boost your business. The software works well for entrepreneurs and small businesses, as well as large enterprises. It can track sales, automate daily tasks, and engage customers in multiple platforms. You can use its mobile platform to work on the go and get updates quickly and in real time. You can extend the productivity of Zoho CRM by integrating it with other popular apps such as Google Apps, ConstantConnect, QuickBooks, MailChimp, and Microsoft Outlook, as well as with cloud-based connectors like CloudWork and OneSaaS. For more details on the system, read our Zoho CRM reviews. In short, Zoho CRM is an online customer relationship management software you can use to manage your marketing, sales, and support in a single system. Why is Zoho Invoice in our list of Zoho products? To start, the app is a widely used finance and accounting software that helps companies create and manage invoices. It has been specifically created for small businesses and sole proprietors. The system is also used by startups as well as freelancers such as photographers, web designers, and writers. You can use the software to create, manage, and send professional invoices online. Users can also track the invoices to follow up the transactions, as well as select from layout templates, or do their own custom design for their company. Finally, you can easily generate invoices in multi-currency and in multiple languages. For more information on the solution, read our Zoho Invoice reviews. To summarize, Zoho Invoice is a web-based invoicing software that is intuitive and easy to use. Zoho Books offers smart accounting for growing businesses. It is an intuitive accounting software designed to help small businesses manage their finances and remain on top of their cash flow. The app is a simple, easy-to-use accounting application that can help you to smartly handle your business. You can use the app to send professional invoices to your clients and receive online payments from them. It makes this process fast and convenient. You can stay on top of your firm’s finances with the help of robust accounting reports such as cash flow statement, balance sheet, and profit and loss report. For more details on the software, read our Zoho Books reviews. In a nutshell, Zoho Books is an online accounting software to manage your inventory, banking, bills, and invoices, and do mobile accounting as well. Zoho Support is a help desk application that offers a dynamic and integrated suite of features including ticket management, reporting, and automation tools. Businesses can use the software to create and maintain productive and long-lasting relationships with their clients. The app enables companies to engage their customers via multiple channels like email and live chat as well social networks such as Twitter and Facebook. It automates workflows and makes ticket management easier, enabling agents to manage large numbers of ticket requests and provide appropriate responses to the issues. Read our Zoho Support reviews to get more information on the solution. To sum up, Zoho Support is an on-demand, web-based help desk software that enables your agents to access data from any location and offers them the latest information to support customers. Zoho Recruit is a cloud-based recruitment platform that is loaded with customizable features to help businesses find the right candidates quickly. The solution offers automated recruitment tools for small and mid-size businesses, staffing agencies, and corporate HR departments. It helps source and reach candidates, publish job openings, manage resumes, and communicate effectively with qualified applicants. Zoho Recruit’s web-based platform provides an activities stream that shows all the activities that occur within the hiring process. It gives you capabilities to manage key recruitment areas such as job posting, social media, data security, collaboration, and task and work automation, among others. For more details on the software, read our Zoho Recruit reviews. In short, Zoho Recruit is an all-in-one Applicant Tracking System (ATS) and recruitment software for HR professionals and staffing agencies. Zoho People is a popular HR management platform that offers a full suite of business applications and tools for small and medium companies. It is a flexible and simple HR app that covers employee management operations including records, leave, and time/attendance. The software is designed to work out of the box and is ideal for firms that want a system that can be implemented easily without the need for customization. For more information on the system, read our Zoho People reviews. To summarize, Zoho People is an easy-to-use online Human Resource Software (HRIS) that automates your HR process to help you maximize the potential of your employees. Zoho Reports is a leading business intelligence software that helps global businesses make better sense of their company data. It provides comprehensive and robust reporting and analytics capabilities to offer deep insights to companies. The software offers on-demand reporting as well as business intelligence features to help your organization get new insights into business data. It uses a powerful web-based business intelligence engine to provide insightful reports in just a few minutes, with no IT help. Zoho Reports offers a vast range of report creation options including dashboards, summary views, tabular views, pivot tables, and charts. Read our Zoho Reports reviews for more details on the software. In a nutshell, Zoho Reports is a robust online reporting and business intelligence program, with an intuitive drag-and-drop interface that enables effortless reporting and in-depth analysis. Zoho Creator is an online builder that helps users to build apps. It offers an easy to use drag-and-drop interface and a range of customization tools. Users can utilize the app to set up unique rules, create workflows, and build custom solutions for their data collection. The software offers a feature-rich platform and tools that can be used easily even by those with no coding skills. The app is part of the Zoho infrastructure, so users don’t have to worry about upgrades, backups, uptime, and data security. There are no long term contracts as the vendor offers a pay-as-you-go-service. You can access Zoho Creator from anywhere. It is highly available, and offers a scalable and secure hosting infrastructure. You can make use of the input from a robust community of independent developers. Read our Zoho Creator reviews for more details on the app. To sum up, Zoho Creator is an app development solution the requires little coding skills and allows you to create customized and mobile-ready applications with ease. Zoho Campaigns is a widely email marketing system that small to mid-sized businesses can use to automate their entire marketing process—starting from handling their email campaigns to overseeing their mailing lists. The solution allows users to access the right information when they need it. You can use this tool to engage your clients anytime, anywhere with your social campaigns on Facebook, LinkedIn, and Twitter. Zoho Campaigns enables you to concentrate more on your target audiences and message, while it manages the entire marketing process. It lets you understand which design or subject line works better. The software’s list management feature makes sure your list is spam-free and clean. For more information on the solution, read our Zoho Campaigns reviews. In short, Zoho Campaigns is a multi-user email marketing system with Zoho CRM and social media integration. Zoho Docs is designed for effective document management. Apart from documents, the software also helps to manage presentations and spreadsheets in one place. You can access the system from any device with internet connection including mobile devices such as tablets and smartphones. The software makes it easy and productive to share files and collaborate with your team members. Store and manage all your files in the cloud and sync them across all your devices. Organize your files effectively with multi-level folder structuring. Share documents without worrying about security. Collaborate and speed up work processes. Read our Zoho Docs reviews for more information on the app. To summarize, Zoho Docs is an online document management platform that lets you store all your files securely in a centralized location, and access them from anywhere online. Zoho Meeting enables users to conduct online meetings more efficiently and reduce travel costs. It can be used by firms with multiple teams in different places to collaborate and work closely together in real time. The platform’s integrated audio conferencing allows users to share their desktop and conduct in-person meeting with clients. You can use the app to demonstrate your software system across the world without leaving your office. Users can also transfer control to their customers during product presentations. Other main features include: rebranding the system with your own logo and color scheme; embedding the app in your website to reach a wider audience; and logging into the system straight from your desktop. For more information on the software, read our Zoho Meeting reviews. In a nutshell, Zoho Meeting is a resourceful screen sharing and presentation application. Do you need a CRM system for your business?